Home > Wellness > Diary of a Carb Addict 68 Sleeps Till Santa! Diary of a Carb Addict 68 Sleeps Till Santa! Good morning everyone and thanks for tuning in! Well, as a carb addict, it feels good that I got to my 2nd day without a hitch. The nice thing about low carbs is that you set a daily limit of carbs and just work around it. For example, I had a small ice cream after dinner but it’s ok it was part of my last 30 carbs for that day. My limit is pretty strict it is 150, but this is what is needed to lose weight consistently until Xmas. I know I will have ups and down days and maybe one day I will oops hit 160 but that’s ok. I am also trying to put long dog walks and swimming in there 3 times a week. Since a nasty ankle sprain, I am just getting active again. Thankfully I had an active Summer going to the country often and swimming, building fires and going on long walks, especially by a river in New Brunswick, on my last mini vacation. So today I would like to share the challenge of NOT having 1 more. Today, I am baking with brown rice flour. Def a carb but a complex one with a lower Glycemic index (that is how sugar affects insulin). Also I try to only have good carbs once a day (I chose mornings because it is when I seem to crave them the most) I usually have 100 in the mornings and save 50 carbs for dinner or after dinner. 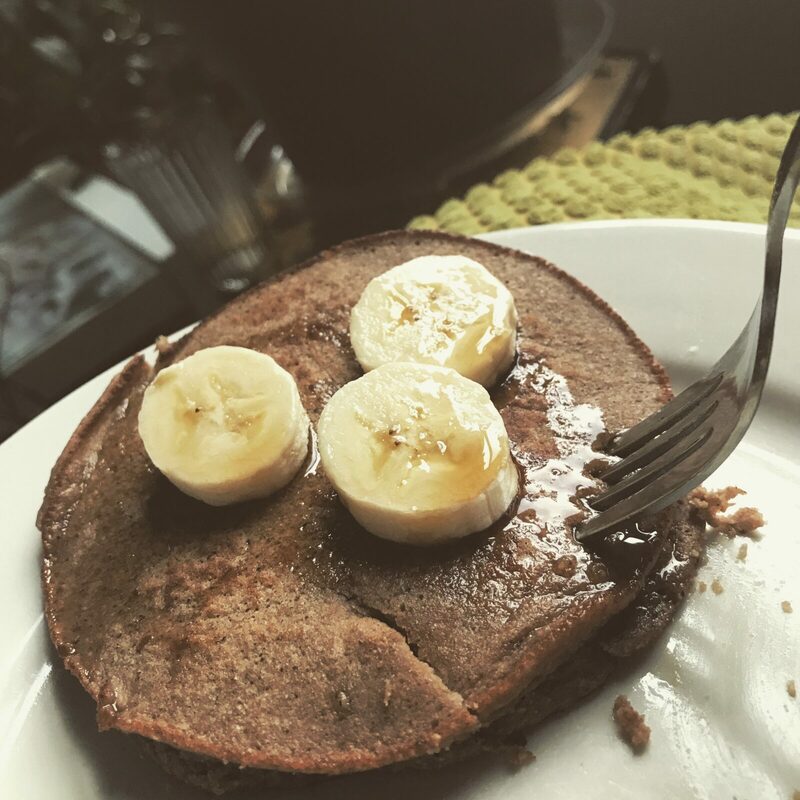 Thanks for following and here is a recipe for Chocolate coconut pancakes with only 10 carbs, see you tomorrow! 2 minutes per side or until each side gets craters, then flip!